She's a proud demon warrior. Her name is Barbara. Hi, Barbara. Hundreds of hours of gameplay is nice. Micromanagement that borders of the neurotic is wonderful. Endless strategies and boundless replayability? The Disgaea series has these in spades. But it's the memorable characters and offbeat humor that keeps me coming back to a series I barely have time to play any more. 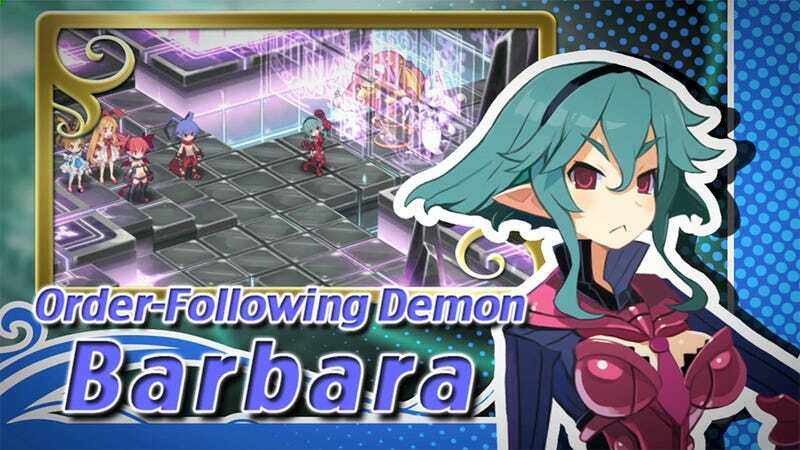 Barbara is the reason I've got a television set up next to my computer desk for when Disgaea D2: A Brighter Darkness drops this fall.